May is motorcycle safety awareness month. This is a time to encourage riders to take necessary safety precautions and to let motorists know they need to share the road with other vehicles like motorcycles. The Centers for Disease Control and Prevention (CDC) cites several statistics as evidence for the claim that helmets can save lives. Their website asserts that a universal helmet law would be most beneficial to this end. A number of people involved in fatal crashes might have had their lives spared had they been wearing helmets. Almost 2,000 lives were estimated to have been saved by helmets in 2016. If all riders had been wearing helmets, up to 800 fewer fatalities might have occurred. If everyone were to wear a helmet with riding a motorcycle, America could save over $1 billion in economic costs. A rider not wearing a helmet is 63% more likely to die in a crash. A rider wearing a helmet is 69% less likely to suffer a serious head injury or traumatic brain injury. These figures, although approximate, paint a clear picture of the importance of helmets. We should all take notice and urge those we know who ride motorcycles on a regular basis to consider wearing a properly fitted full-face helmet. 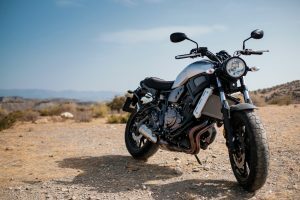 The National Highway Traffic Safety Administration (NHTSA) reports that less than two-thirds of all motorcyclists wore a Department of Transportation (DoT)-compliant helmet in 2014. The figure has been rising in recent years, but some might argue it ought to be higher still. Lives could be saved as a result. The lawyers at the Law Offices of Jeffrey S. Glassman know motorcycle law. If you’ve been injured on your bike, let us handle your case. We will fight for your rights and pursue damages to the fullest extent of the law. Contact us today for a free consultation.